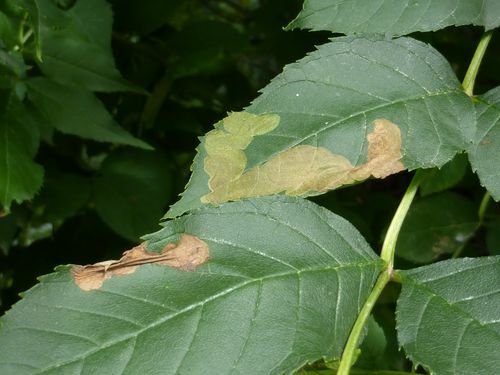 As we are all looking anxiously at Ash trees at present for signs of Ash Die-back fungal disease I thought it might be of interest to draw attention to another cause of visible damage to Ash foliage. 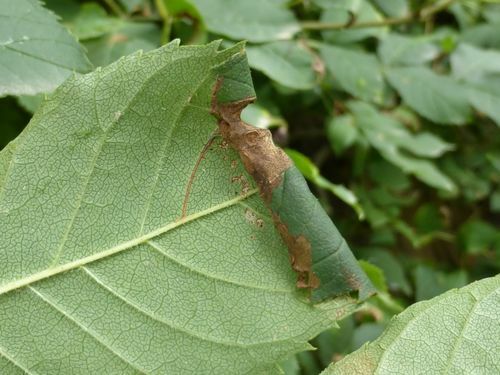 The micromoth Caloptilia syringella (Fabricius) is a common insect of the Gracillariidae family, which as the name implies feeds on Lilac Syringa vulgaris, but more commonly on Privet Ligustrum spp. and Ash Fraxinus excelsior. The feeding larvae first mine the leaves, often communally, causing discoloured brown blotches which often eventually become raised and inflated. In the final instar it rolls the leaves feeding within before leaving to pupate in a cocoon. 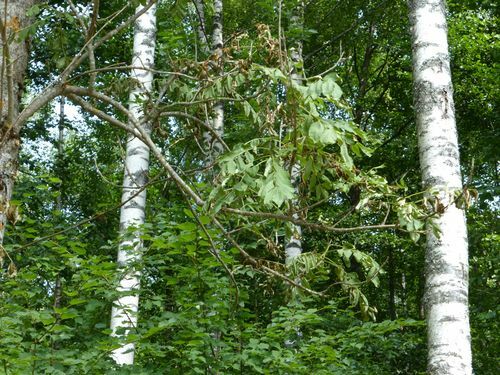 Although damage from larval feeding can lead to dried up brown leaves it does not cause wilting of foliage nor dead twigs and branches. This autumn (2013) the feeding signs of this insect have been very common on Ash across Worcestershire. 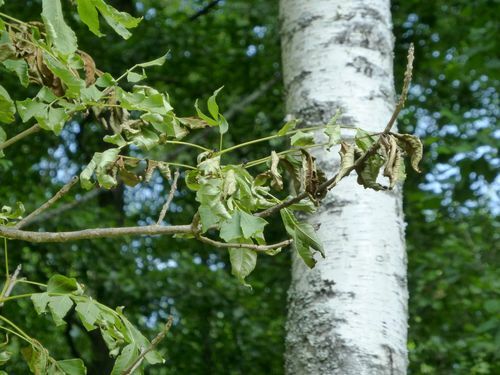 In May feeding larvae of the micromoth Prays fraxinella (Bjerkander) in the shoots causes transient wilting and drooping of the leaves of Ash but the leaves are not discoloured and most seem to recover when the larvae finish feeding. 02. 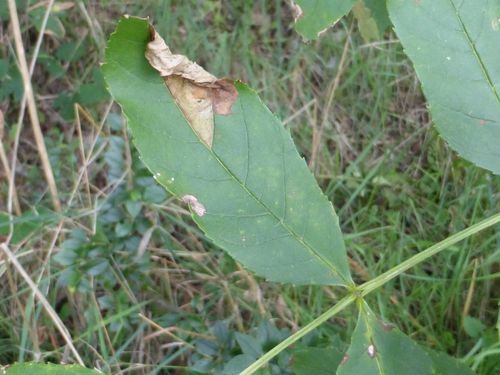 Caloptilia syringella damage to ash leaves.